A woman was rushed to the hospital with severe chest pain, only for doctors to discover that none of her arteries were blocked. A truly stunning story is making the rounds after the New England Journal of Medicine published research on “broken heart syndrome” when a Texas woman had her heart literally break after her dog died. Joanie Simpson, 62, of Texas went to the emergency room with severe chest pain last year, and doctors were surprised to find none of her arteries blocked. So they diagnosed her with takotsubo cardiomyopathy, also known as “broken heart syndrome” which is typically seen in postmenopausal women and is brought on by a stressful event. 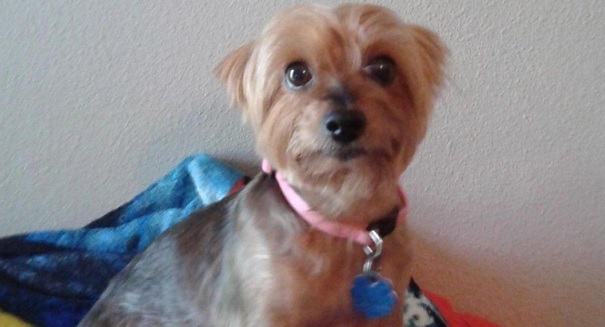 Simpson’s dog Meha, a Yorkshire terrier, had recently passed away. She told the Washington Post she was “inconsolable,” and that Meha’s death was “really, really hard” on her. All of her children have grown up, and she has since retired, meaning that Meha was her only companion in the household.